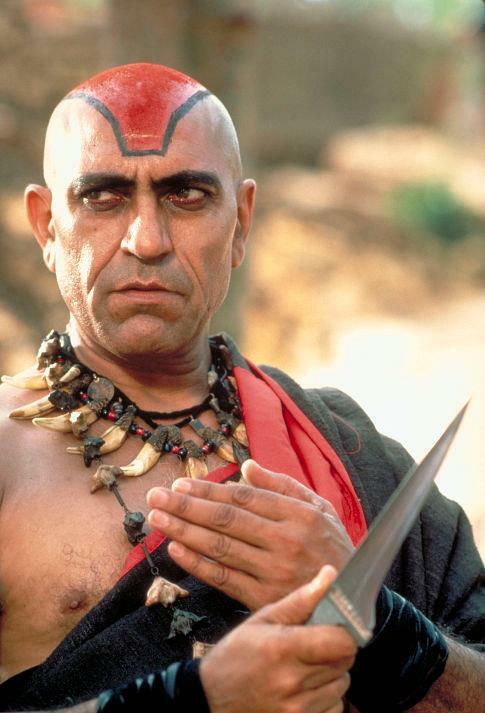 He is known to international audiences for his roles as Khan in Richard Attenborough's Gandhi (1982) and as the main antagonist Mola Ram in the Steven Spielberg's Indiana Jones and the Temple of Doom (1984). He shaved his head for the role, and it created such an impression that he kept his head shaved and became one of the most popular villains in Hindi Cinema. Amrish and Spielberg shared a great rapport and Spielberg often said in interviews that, "Amrish is my favorite villain- The best the world has ever produced and ever will!". He died on 12 January 2005, due to cerebral haemorrhage resulting from complications of myelodysplastic syndrome. in Mumbai, Maharashtra, aged 72.